This really caught my interest because it was the first time I had ever heard of this concept. 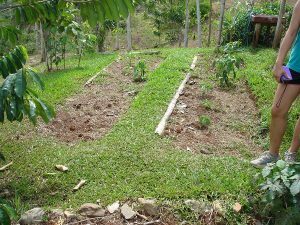 The idea of resilience design is a relatively new term that Villas Mastatal was beginning to incorporate into their farm in order to convey that their mission is more than to be sustainable in their farming, building, and lifestyle but as a philosophy in practice. Javier talked about how he believed that sustainability meant to simply maintain and live within our means whereas resilience is having the ability to respond, recover, and be regenerative. To him, resilience design is to take a step further than sustainability. 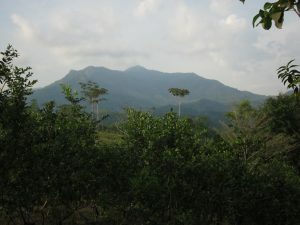 At Rancho Mastatal, I was able to speak to the founder of the farm, Tim O’ Hara, in regards to sustainable agriculture. He too mentioned the word ‘resilience’. Tim talked about how there needs to be a system to respond to the “redundancy on systems that don’t rely on things that we have no control over.” Tim stressed the importance of having resilience, being flexible, and having the ability to adapt to events that are unpredictable. After returning from Costa Rica, the idea of resilience design continued to spark my interest. I researched the internet and discovered that sustainability is suggested to be inherently static in which there is a point of stability and when we reach that point, we tend to remain there. 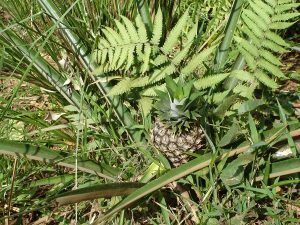 Resilience, on the other hand, ‘is open to, embraces, and accepts change and diversity, promoting evolution as a result’. It focuses on the need to endure the unexpected, and to use the unexpected events to grow. Ultimately, resilience is about thriving while sustainability is about survival. It is truly amazing and inspiring to me of how focused these farms in Mastatal were in terms of their impact on the land, nature, and the community and how they are advancing their mission. During my stay in Costa Rica, I have to admit that at one point I was getting tired of rice and beans, yet I can’t say the same about picadillos. Diverse in color, flavor, and texture, picadillos were my favorite side dish during those warm and humid lunch breaks. The nice lady that prepared our food during our visit to “Gerardo el curandero” explained to me that picadillos developed in the region from the necessity of dealing with monotony, and eating better. A picadillo is way of preparing a simple filling ingredient into something more appetizing and rich. The name Picadillo comes from the Spanish word “picar” which translates “to mince”. Picadillos are very simple to prepare. 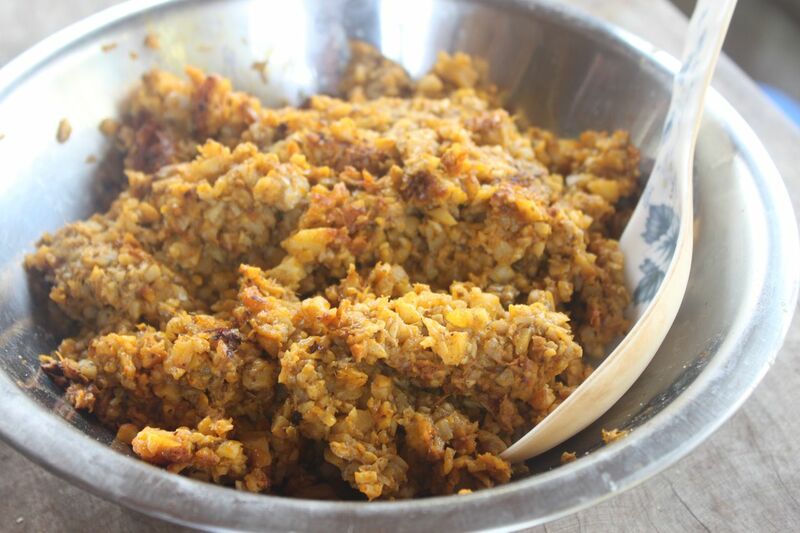 Here is a simple recipe on how to prepare my favorite picadillo made from “palmito” or palm hearth. 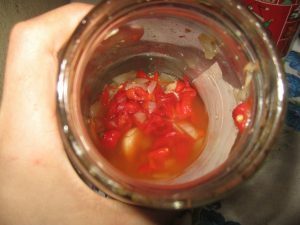 Other types of picadillos can be prepared the same way, and its only necessary to change the main ingredient. Moreover, feel free to add minced bell peppers, cilantro, and celery to the picadillo if you wish. I got to enjoy picadillos made of Frijol rojo (red beans), ayote tierno (young ayote), and papaya verde (green papaya). A great way to accompany your picadillo is with some pickled chiles Tico style. First, slice some Aji and Abanero chiles, cauliflower, onion, garlic, cilantro, and carrot. There is no determined amount of any ingredient in the mix, so the ratio is purely based on personal preference. Put all these slices and a little bit of cumin in a glass container. Fill, the container ¾ Limón Mandarina / Rangpur Lime juice and ¼ with vinegar. Mix and close the glass container. Finally, let it sit for two days before serving. Being in America, you become accustomed to things that you view as a part of everyday life. Toilets, stoves, and kitchen appliances are all typical household items that one expects to see when they enter a house. But how is it different in Costa Rica? 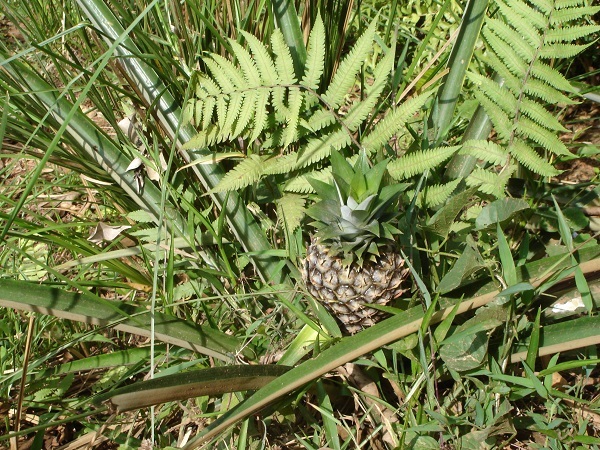 Americans might wander into a Costa Rican household and be puzzled at different items they might find. Here are a few! 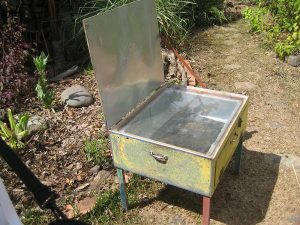 Although seldom used and typically found in more sustainable households, this simple looking, wooden box is actually a solar cooker. It serves the same function as a stove, but uses solar power instead of gas. This is an inexpensive and useful alternative for gas stoves as it does not use up any fossil fuel and almost requires no labor to operate. The concept is very simple; you place the food you want cooked inside the box, angle the cooker so that the sun shines on the mirror, the mirror reflects the sun’s rays into the box heating up your meal. One drawback to this contraption is that it takes a longer time to cook than your average gas stove. It would take about 3 hours to cook a meal, whereas a gas stove would cook the same meal in less than 10 minutes. This next appliance (the one that looks like a dirty sock on display) is actually a coffee strainer. It consists of two parts: a strainer and a stand. 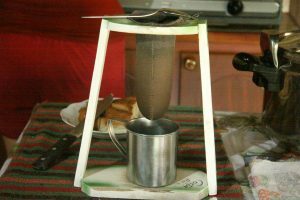 The ground coffee beans are place into the strainer and a cup is placed underneath it. Hot water is then poured into the strainer, which drips into the cup. And there’s your coffee! If you want your coffee to be stronger, simply pour the contents of the cup back into the strainer once, twice, or three times, depending on how strong you want it to be. In America, we have coffee makers that can cost up to $200 dollars, while this strainer can be made for only $10 dollars. American coffee makers require electricity and may need to be repaired. The Costa Rican coffee strainer is a lot more practical, simple and FUN! As Americans, we’re used to seeing shiny porcelain thrones in our bathrooms inviting us to sit on them. But in Costa Rica, wooden boxes in the middle of the forest are everywhere. They are not as bad as one would think and they serve a very functional purpose. 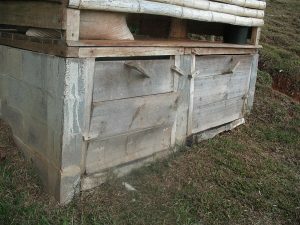 “Compost toilets”, as they are called, save the human waste for fertilizer that is later used on farms. The toilet is surrounded by 3 walls and is usually placed in such a way that the user can enjoy a nice view. You can add a half-cup of sawdust to cover the waste to assist in breaking down the process. 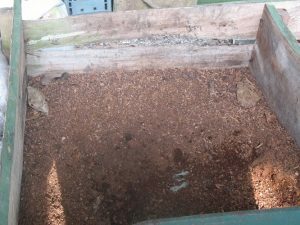 While it may smell stinky and a few bugs may be seen lurking around, the compost toilet is sustainable in that it uses everything and leaves nothing to waste, literally. One thing that I learned while being in Costa Rica and seeing these different “appliances” is that everything is built in its simplest form and serves its purpose. Nothing fancy is needed; if it gets the job done, then it’s used. Being on this trip has really showed me the excess of things that I have and how much of it isn’t necessary. I know what you’re thinking. 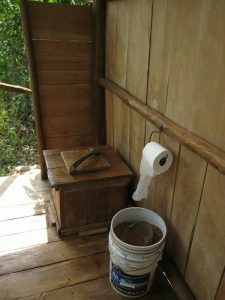 A composting toilet? Really? Your face is probably in a bit of a grimace and your mind is probably saying “hmm, I’m not too sure about that one”. 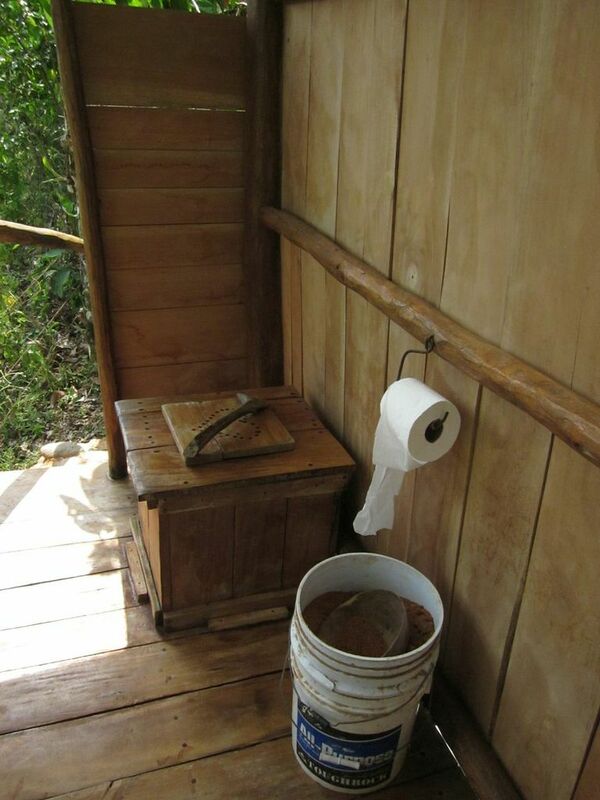 It is basically a stationary porta-potty made out of wood, so I understand that reaction to it, but I’m going to show you a different face of composting toilets. 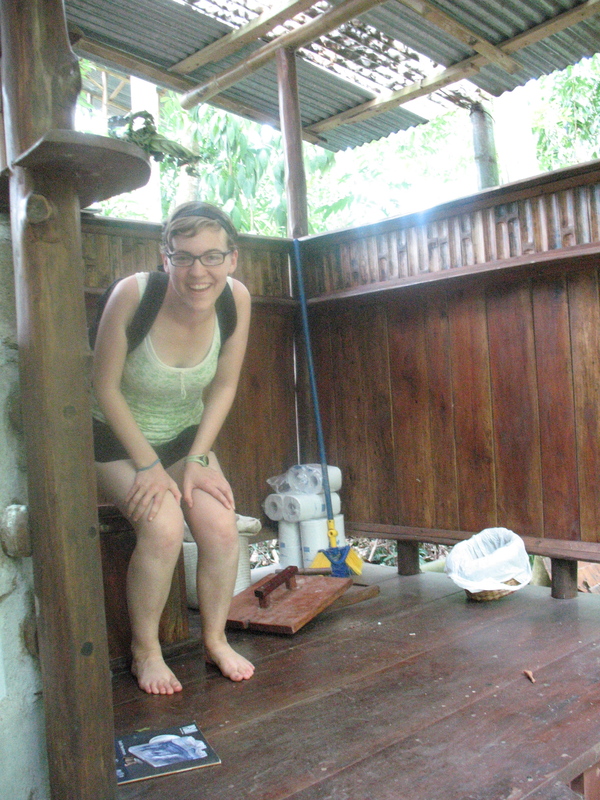 I used four different composting toilets on this trip and every time I used one I had the same feelings. One was a sense of peace and refreshing silence. The other was a feeling of contribution and completing a planetary cycle. Every group member I spoke to had basically the same experience. Let’s find out why!! To start we will look at our current toilet system. We have a big white thing sitting in all of our restrooms that we visit occasionally throughout the day. You go in, do your business, flush with a ridiculously large amount of water that is obnoxiously loud and then you walk away without a second thought. I’m asking you to take a moment to think about it. In America, about 27% of our household water use goes to flushing the toilet. Not only do we waste water but then we send that wastewater to a sewage plant to be treated and released. So we actually put energy into cleaning something that could clean itself or could even provide us energy. There are two kinds of composting toilets. One is wet and one is dry. The wet compost toilets are the ones at Rancho Mastatal that are hooked up to an anaerobic digester. This system produces methane, which is captured and used as energy in their kitchen. The kind we used the most was the dry compost system at Siempre Verde, which is this one here. The system is very simple. You do your business, put the toilet paper in just like a normal toilet in the US and then rather than a flush, you scoop in some sawdust from the local sawmill and done!! No loud flushing, no smell, and no waste! On top of that you get to look at this beautiful forest and mountains while you are there. Every time you go to the bathroom you are contributing to the compost that can then be used at the base of trees for nutrients. Talk about following the cycles of the planet! 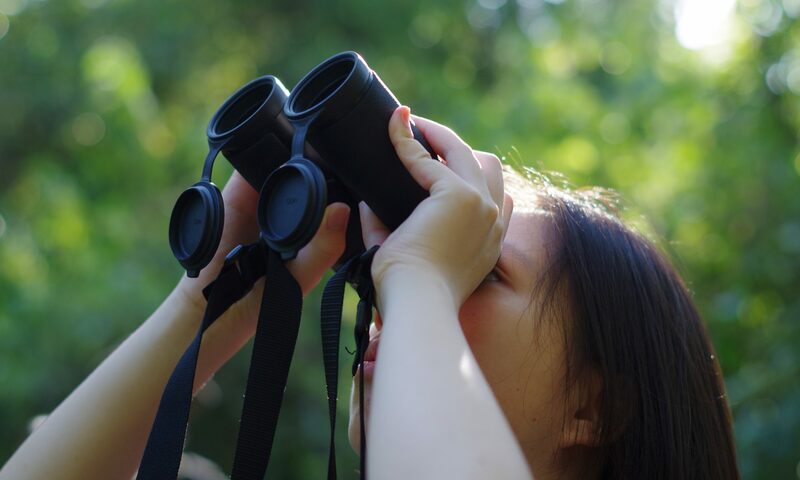 You may be wondering what is happening in-between your contribution and the actual product that is used. That is also a fairly simple process. There is usually one side of the toilet area where a full bin is stored for about 6 months until the bacteria have broken it down. You can see what I’m talking about in this picture of the back of a composting toilet at Villas Mastatal. After it sits for 6 months it comes out looking something like this. I picked up a handful of this by the way. Feels and smells like normal compost. At this point it is nothing like its original waste form. 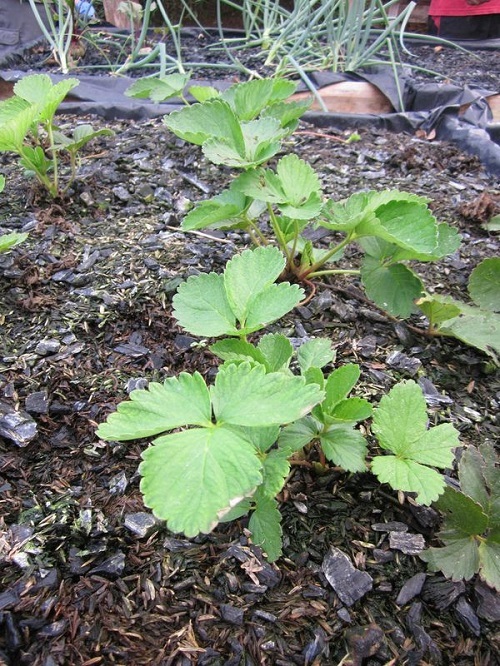 It is now a nutrient-rich and completely useful compost. Sure there’s no door to close, nothing to flush, maybe some cockroaches in the bottom, and no light at night but how can you not be excited about the peacefulness and efficiency of such a system!